The origins of the Board of Regimental Trustees are uncertain. The existence of the Board was first recorded with the promise made by Colonel H.M. Urquhart to the Regimental Association that the Canadian Scottish Regiment Board of Regimental Trustees would maintain the 16th Canadian Scottish War Memorial in Pioneer Square in Victoria, B.C. There is little record, however, of its members and function before the end of World War II. 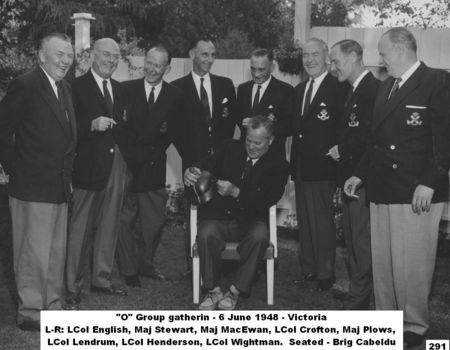 The formal constitution and structure of the current Board of Regimental Trustees appears to have gained its momentum very shortly after the end of World War II from Brigadier F.N. Cabeldu who was incensed when the Regiment was forced to turn over its accumulation of over $20,000 from the war-time Regimental canteen fund to the Canadian Army Benevolent Fund. Major (later Brigadier General) P. Ramsay was equally as furious since he was the person who had been tasked to do the audit and write the cheque! 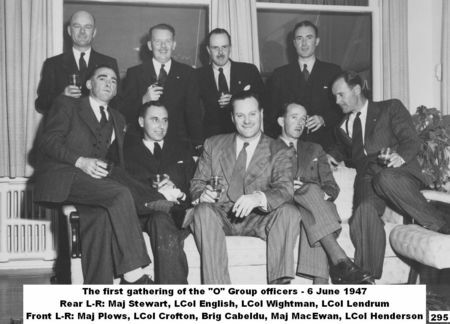 As a result, the Board of the Canadian Scottish Regimental Trustees was officially established under the B.C. Societies Act shortly after World War II in order to place all non-public Regimental Assets in its trust should the Regiment ever be minimized or disbanded, and to prevent further incursions by any government agency on the Non-Public Funds (NPF) and physical property of the Regiment. In the late 1960’s legal concerns arose concerning the original Board’s Constitution and By-Laws. By 1973 the Trustees’ Constitution and Bylaws were modified to address these legal changes and to further protect the NPF assets of the Regiment and to a considerable degree, many of the Regimental Family’s assets, including those of the Cadet Corps, and later those of the Regimental Museum, the Endowment Fund and the Heritage Foundation. The current Board is comprised of the Colonel-in-Chief, former Commanding Officers, and present and former Honorary Colonels and Honorary Lieutenant Colonels. It may also appoint such other person as it chooses. Due to its composition, it takes the responsibility to listen to the incumbent Commanding Officer’s concerns regarding the health of the Regiment and to offer its advice and support. The Board of Trustees’ main mandate, by its constitution, however is “… the furtherance of the interests of The Canadian Scottish Regiment and such other Infantry Units and affiliated Cadet Corps as shall be approved …” Through this mandate, the Board has the authority and responsibility to administer, in every respect, all the fiscal, physical and historical assets of those approved elements, including the management, distribution and disposal of funds and property. Initially this Constitution secured the NPF assets of the Regiment. Since then however, with the development of other funding sources, the board has had to expand its mandate considerably to encompass the Regimental Endowment Fund and the Regimental Heritage Foundation, both of which were established for the ‘Good and Welfare’ of the Regiment but with significantly different thrusts.